Advances in our understanding of thyroid lesions, especially those entities with an indolent behavior, has led clinicians to question the most appropriate surgical management of such thyroid nodules. 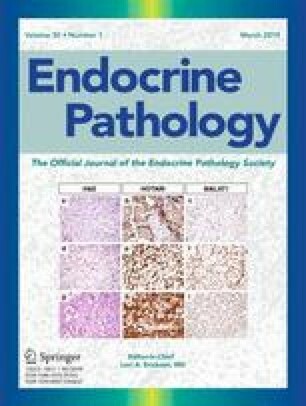 Several studies have shown that the non-invasive encapsulated follicular variant of papillary thyroid carcinomas (NI-EFVPC) exhibits poor histopathologic diagnostic reproducibility and have been over-treated as conventional thyroid cancer. In 2015, an international thyroid working group re-evaluated NI-EFVPC and its diagnostic criteria. The new terminology of “noninvasive follicular thyroid neoplasm with papillary-like nuclear features” (NIFTP) was accordingly introduced to replace NI-EFVPC. The literature has emphasized that NIFTPs are biologically similar to follicular adenomas lacking lymph node metastases and/or recurrence. While the definition of NIFTP is based on specific morphological parameters, recent studies have questioned whether the criterion allowing less than 1% of true papillae should be revised to a total absence of papillae. The motivation for this revision is the rare finding, in some studies, of lymph nodes with metastatic NIFTP. This review evaluates the existing published series of NIFTP cases, clinical consequences of NIFTP, and emerging changes in the diagnostic criteria for NIFTP. The introduction of NIFTP has resulted in significant impact on the clinical management of thyroid nodules. Recent revisions in the morphological criteria for NIFTP emphasize the need to adhere to very stringent histomorphologic criteria when making a diagnosis of NIFTP. The adoption of NIFTP terminology instead of NI-EFVPC is associated with conservative lobectomy without radioactive iodine treatment in the majority of cases.